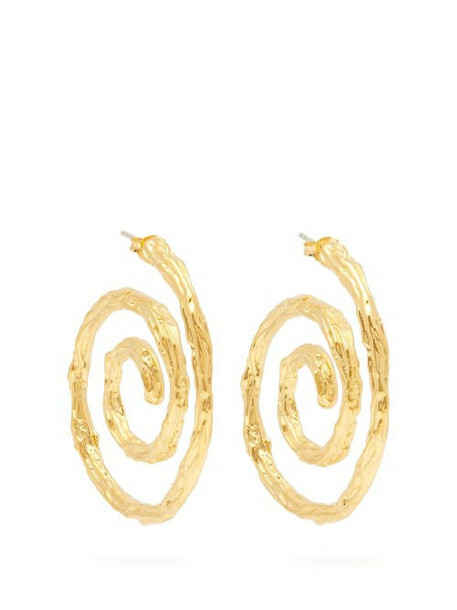 Lizzie Fortunato - Lizzie Fortunato's 24kt gold-plated Spiral hoop earrings draw inspiration from art, the subject in which one of the label's founders majored in university. They're crafted in the USA and shaped with a melted effect for a textured, light-catching quality. Wear them with a fluid dress for a special occasion.